Rapid detection of avian influenza virus (AIV) is highly desirable during outbreaks or routine AIV surveillance. In this project, the preliminary results in developing a handheld (0.5cm×2cm) disposable device that is capable of rapidly detecting AIV from poultry swabs are reported. This microfabricated device captures the virus particles from a swab sample by employing physical size-based exclusion and identifies the isolated virus using on-chip indirect fluorescent antibody (IFA) staining. The device consists of patterned carbon nanotubes (CNTs) arrays and a microfluidics channel made of polydimethylsiloxane (PDMS), which is an FDA approved biocompatible polymer. The aligned carbon nanotubes are synthesized by aerosol based chemical vapor deposition (CVD) on a micro-patterned ion catalyst thin film to form an enclosed microfluidic chamber of a droplet shape. The top PDMS cover is fabricated with SU-8 mold, and then punctured for fluidic access ports. Particles with diameter similar to CNT gap pore size are trapped inside the forest. CNTs are selectively synthesized on transparent silica substrate with a chemical vapor deposition. The CNTs form a porous structure array with geometries of approximately 50µm in height and 30nm in diameter, as measured by scanning electron microscopy (SEM). The CNT porous structures perform label-free virus trapping and serve as a virus carrier substrate for a subsequent IFA test. Firstly, a size-based capture performance was determined, by measuring the capture efficiency using fluorescence labeled particles with 25nm, 100nm and 400nm in diameter. Secondly, an experimental swab samples by spiking H5N2 virus into a chicken tracheal swab collected from a healthy (virus-free) chicken was developed. 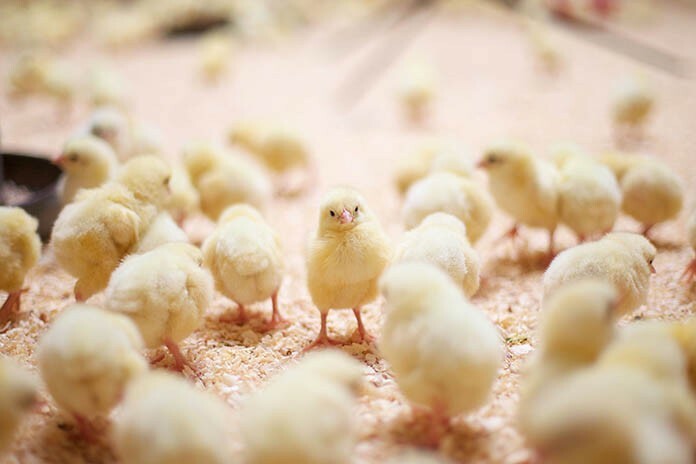 By applying on-chip IFA test using AIV H5 monoclonal antibody, strong fluorescent signals were detected at the CNTs porous structures, which indicated the H5N2 AIV was trapped and immobilized inside CNTs structure. Furthermore, the carbon nanotube filtration device with captured virus can be integrated with standard AIV detection approaches of immuno- and molecular-assays. Our preliminary results are promising toward for the development of a portable on-chip reaction device id AIV detection from poultry samples.